New vacancies in Indian Government: Nuclear Power Corporation of India Limited Recruiting 08 Fireman & Driver on 2015. 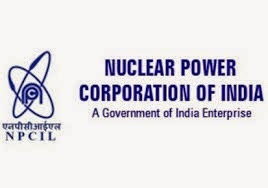 Nuclear Power Corporation of India Limited Recruiting 08 Fireman & Driver on 2015. No.of Vacancies : 08 posts. Salary and Grade Pay : INR Rs.5200/- 20200/- with Grade 2400/-. Age Limit : All Interested candidates upper age limit should not exceed 32 years as on date 01-01-2015. Age relaxation will be applicable as per the rules & regulations. Educational Qualification : All Interested candidates should have completed 10th or its equivalent qualification from a recognized University / board. How to Apply : All Eligible & Interested candidates can download application form from the official website http://www.npcil.nic.in After Filling the application form candidates must send the hard copy of application with reverent testimonials (as mentioned in the Advertisement) send to the given Address on or before 05-03-2015. Click Here NPCIL Full detailed recruitment 2015 and for to download application form.